Are You Ready for Retirement Poverty? Home > Blog > Investing Tips > Real Estate Investing > Are You Ready for Retirement Poverty? Whether you can see your Golden Years fast approaching, or you’re just starting to put your retirement savings plan into place; like most people, you probably expect the combined assets from your Social Security and 401K will take care of all of your bills. A frightening new study by the National Institute on Retirement Security found that workers in nearly every U.S. state come up short in key areas that gauge retirement readiness: anticipated retirement income, major retirement costs, such as housing and health care, and labor market conditions for older workers. In terms of retirement readiness in 2012, Wyoming ranked the highest, followed by Alaska, Minnesota and North Dakota. California, Florida and South Carolina ranked among the lowest. 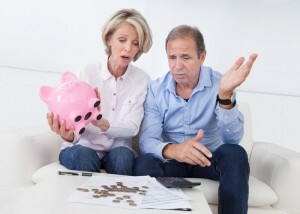 According to the latest Retirement Confidence Survey from the Employee Benefits Research Institute., one out of four Americans workers is not confident that they will have enough money for a comfortable retirement. Where do you stand? Are you completely confident that your retirement savings plan is on the right track? Take a look at your own 401K. How much of a hit did you take in the Great Recession in 2007-2008, Twenty percent? Forty percent? What would you have done if you were newly retired at that time, had lost the majority of your savings, and had no way to replace your losses? What would happen to your retirement plans if the same thing happened again? Chances are it will, and you could get hurt badly. Are you sure that you are diversified enough to protect yourself against the ups and downs of the stock market? Thousands of people—including the smartest investor on the planet, Warren Buffet—are investing in real estate to protect themselves from the perils of stock markets, precious metals and other risky investments. 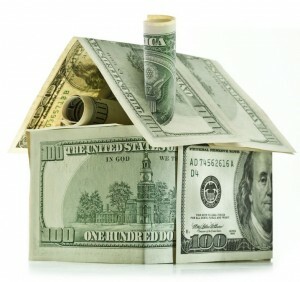 The rental home is one of the oldest, surest ways to generate a monthly cash flow. The wonderful thing about investing in real estate is that you make money two ways—from appreciation and from rental income. If you have problems with one, you always have the other source. Of course, both should be doing their jobs simultaneously if you make smart decisions about the property you buy and the management you hire to take care of your investment. There’s a very true saying that goes something like “all real estate is local.” However, what the saying doesn’t tell you is that just because real estate is “local,” a real estate investor does not have to be. A handful of markets around the county have the perfect mix of strong rental demand where the economy is growing quickly and big institutions like universities, governmental offices and hospitals are bringing in new tenants all the time. across America. A local broker (and HomeUnion® employee) works with you to get you the best deal on the property, and guides you through the entire acquisition from financing to inspections to close. Once the house is rent-ready, one of the market’s top property management firms takes over, finds your first tenant (if the property does not already have a one in place), and then sends you the first of many rent checks.